Harrods can certainly whet your appetite with their amazing range of sweet treats. 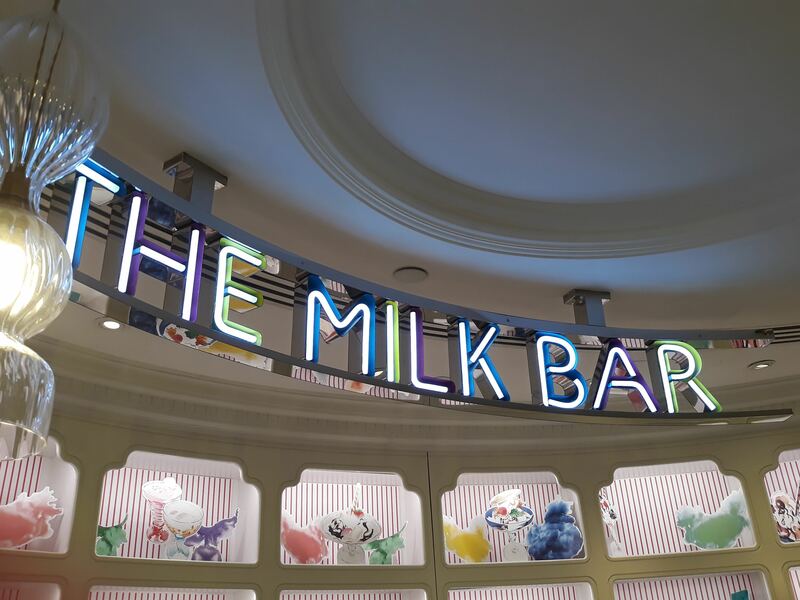 If you're an ice cream lover, look no further than the Ice Cream Parlour located on the second floor near the gift shop. Don't be surprised if you find a long queue as this dessert bar is popular, however, don't be disheartened as the queue moves quickly! The wait is worth it though. 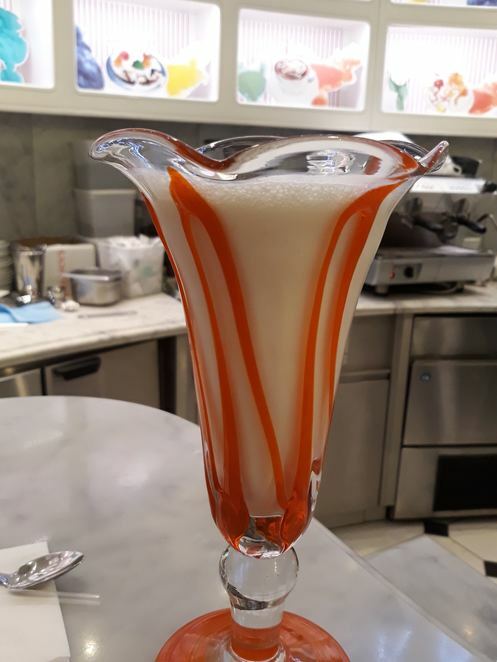 The mouth-watering menu includes sundaes, shakes and delicious desserts. Guests have the option of sitting at a bar or table. The quirky and fun interior adds to the unique atmosphere. 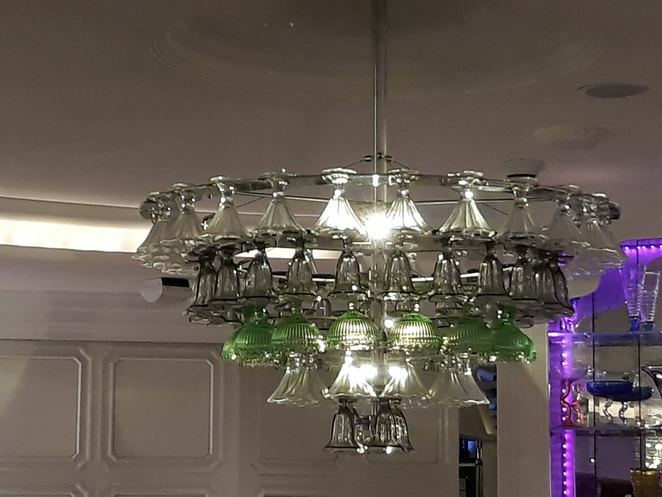 I loved the sundae bowl chandelier! The Ice Cream Parlour can be pricey, yet the ice cream is delicious. 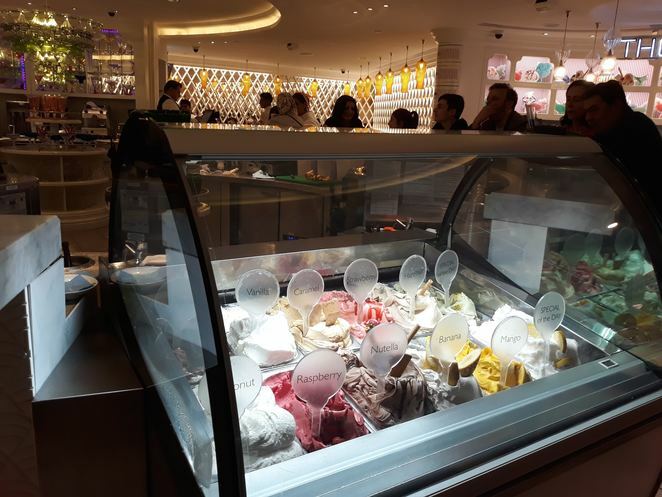 With 13 traditional gelato and sorbet flavours, guests are spoilt for choice. The menu is impressive. 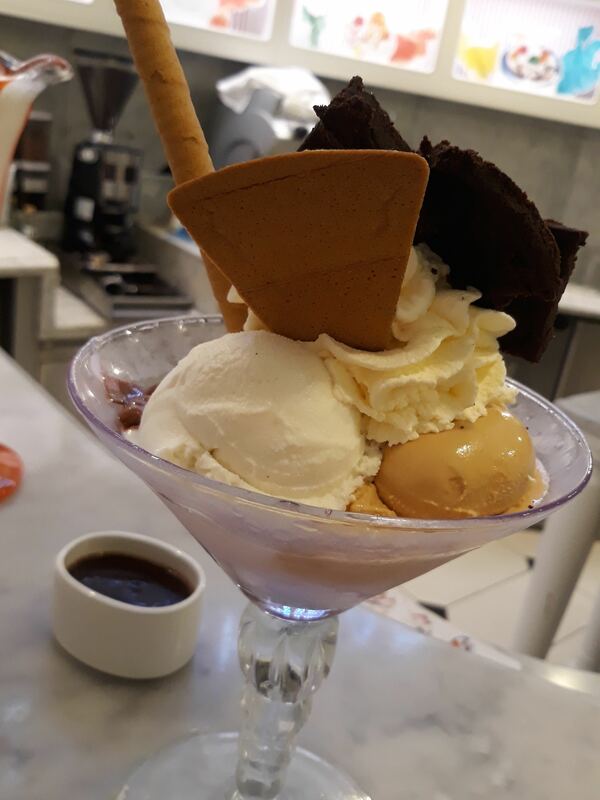 The £20 Harrods Special Sundae is the ultimate indulgence. Created with vanilla, chocolate, strawberry and caramel ice cream, then topped with chocolate sauce, strawberries and bananas, this magnificent sundae is served with billowing dry ice. The Brownie Chocolate Cup Sundae is delectable. Created with vanilla, chocolate and caramel ice cream, homemade brownies, hot fudge sauce and whipped cream, it is rich and flavoursome. The Brownie Chocolate Cup will set you back £17. There are three children's options available, each at £7. The Ice Cream Teddy Bear Sundae is a popular choice with parents and children. A large portion of chocolate and vanilla ice served with a bear waffle cookie delights youngsters. Alternatively, try the Ice Cream Pinocchio, with vanilla ice cream, whipped cream, rolled mini cone and sprinkles. Milkshakes, Cookie Shakes, Ice Cream Floats and Gelato Shakes are also on the menu and are well worth the purchase. Shop til you drop and enjoy the ultimate indulgence!